We would like to inform you on the upcoming “2nd GCC Businesswomen forum & Exhibition” which is organized by the Federation of GCC Chambers in collaboration with the Bahrain Chamber of Commerce in the kingdom of Bahrain during the 15-16th of October, 2014 at the Sheraton Hotel. This significant happening will be under the patronage of HRH Princess Sabikah Ibrahim Al Khalifa, the spouse of His Majesty the King of Bahrain and the president of the Supreme Council of women. 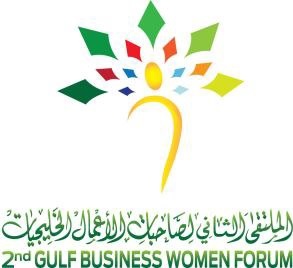 The forum will focus and elaborate on subjects of top concern to the GCC Businesswoman community; along with Economic obstacles they are confronting either in local, regional and international basis. Furthermore, it will point out the distinctive competencies and increase mutual understanding and compatibility between the Gulf businesswomen, and to shed light on the Gulf Entrepreneurs. It will also feature a fashion show to be participated by top notch international designers showcasing their master pieces designs in parallel to a fashion exhibition organized exclusively by med point design events management. For more information, the Agenda and the Registration Form, please download the documents here.